It is important to wash your vegetables and remove any pesticides and dirt form their skin. Making your own vegetable wash is simple and affordable. This page contains homemade vegetable wash recipes. 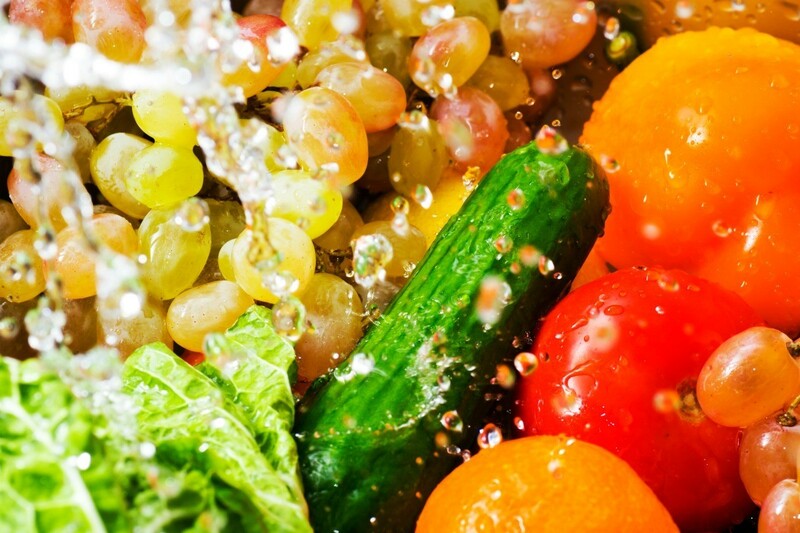 Washing your produce before you eat them is an important food prep step. But there is no need to waste your money on expensive vegetable washes when you probably have all the ingredients you need sitting around your house. Add vinegar and salt to a pot of cool water. Soak fruits and vegetables in it for 5-10 minutes. Then, rinse the produce once or twice before using. It is important wash your produce, especially if you are not using organic produce because pesticides stick to your fruits and veggies. Even if I splurge on organics, I will still wash my produce before using, to get any dirt or bugs off. The vinegar helps remove any pesticide residue and the salt helps kill any bugs that are hanging out. In a mason jar, add 1 cup of water, 2 tablespoons of baking soda, and 1/2 cup of vinegar, mix well. Put produce in a bowl and pour over fruits. Let sit five minutes and rinse well. I need an economical fruit and vegetable wash.
Water and a light swish or scrub (depending on what you're washing) is all you need. If you don't think simple water is enough then use a vinegar and water solution but keep in mind that unless it has a hard non-porous skin like an apple the vinegar will seep into the pores of the fruit or vegetable. 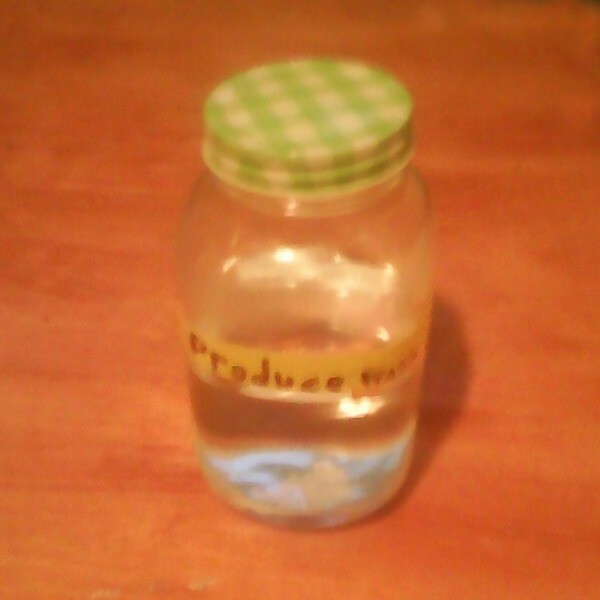 I use a solution of 3% peroxide, 1 tablespoon peroxide per gallon of water. Soak two minutes, then rinse. Have you noticed that green grocers always have a fine mist spraying on the vegetables? Then, why do "they" tell us to wash and "dry thoroughly" before storing? Why? So it will spoil and you need to buy more! I began to wash and store mine in a large baggie, add two TBS cold water (or two ice cubes), push all air out before sealing. This give cold moisture and no oxygen to fresh produce, even sliced pieces. I can keep all fresh for a month. No more gray moldy onion halves. no more rotting tomato slices, no more brown lettuce/spinach, no more slimy green onions and cut green peppers. Whole vegetables stay crisp and look like the day you bought them. Each time I open the bag to use something, 2-3 times per week, I simply pour out the water and add a dash of fresh cold water, push the air out and seal again. Try it! Anyone have a recipe safe to spray on veggies and fruit fresh from the market? I wash all fresh produce before putting it away as it eliminates fruit flies, dirt, pesticides, etc. I have been using antibacterial spray from the store then rinsing with water, but would like to make my own if possible. Use a gallon of distilled (or boiled and cooled) or filtered water. 1/2 cup of hydrogen peroxide and 1/2 cider vinegar (white is ok also). 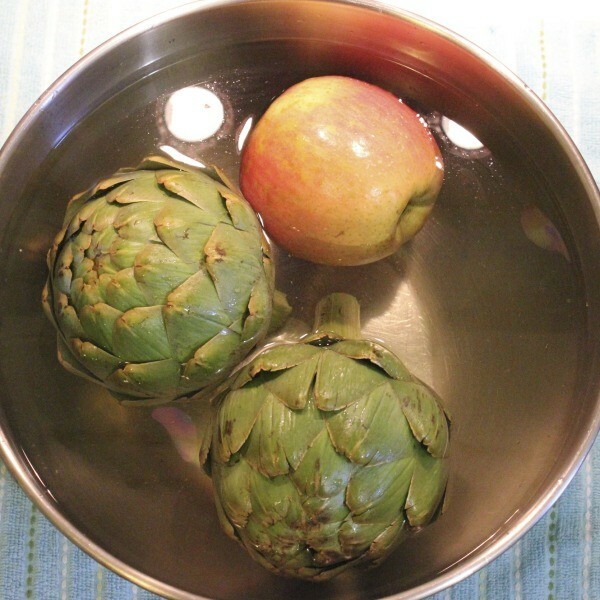 Let the veggies sit inside the water about 5-10 minutes. (Don't use the whole gallon necessarily, pour into a bowl what you need). Rinse and use. I failed to notice you said "spray on". I am sure you could also spray this on, rinse and use. 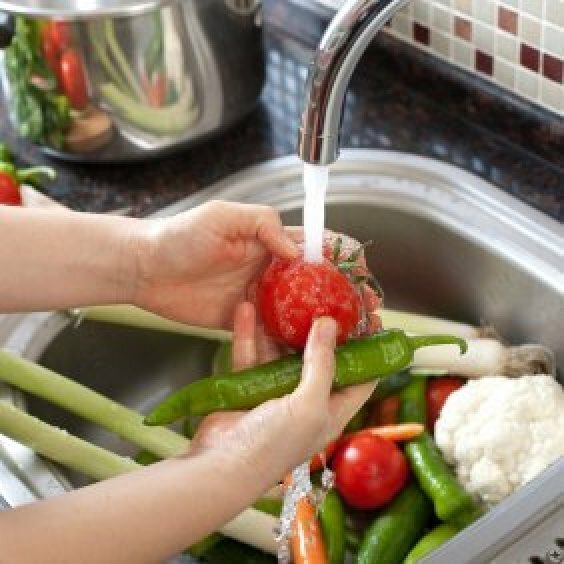 Cleaning your fruits and vegetables before using them will help remove any residual dirt or other contaminates they might have picked up. This is a guide about washing fruits and vegetables. I need a recipe for cleaning fruit and vegetables. Good old running water and a soft bristle brush are really all you need to clean veggies. If you are washing melons, a little dish soap wouldn't hurt to help get any dirt off the rind before you cut them. I am looking for a recipe to use for washing fruits and vegetables to remove spray residues. What do I use to make a vegetable wash? I'm looking for a recipe to make a homemade veggie and fruit wash, as opposed to buying the expensive bottles in the produce sections. How to wash your fruits and vegetables with a simple solution using items you can find in your pantry. Does anyone know how to make a natural, inexpensive vegetable wash?